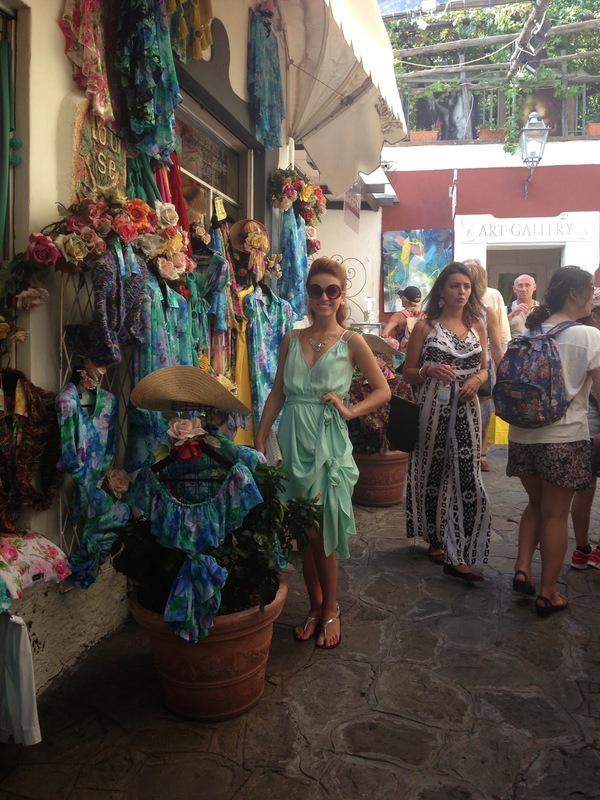 Positano Picture perfect something right out of a movie. Its one of those places where you have to see it to believe it. Now being back in toronto nestled on the couch with a hot cup of tea watching the snow fall there is nothing better to do then go back through pictures of those hot summer days when you were on vacation and all you cared about was soaking up the sun and enjoying the fresh sea air. That is exactly what took me to this magical place. It was a hot day in early september. 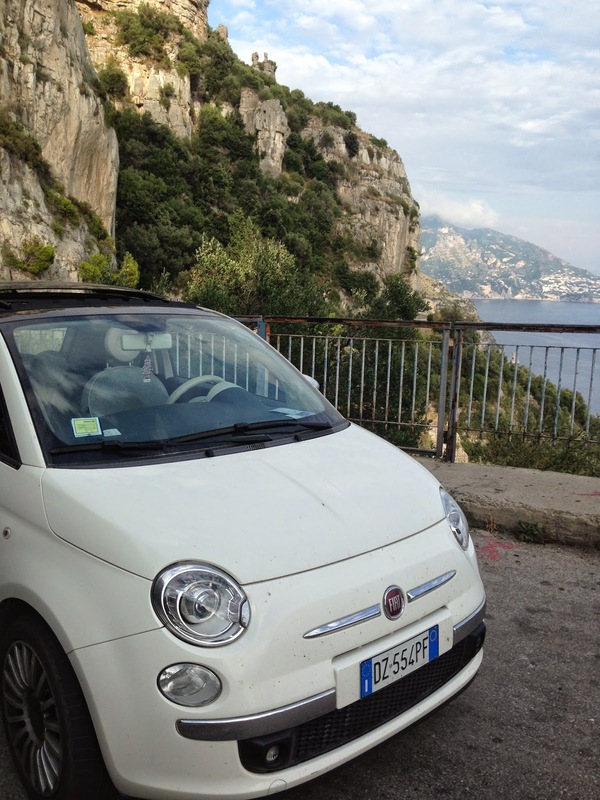 We made the drive along the amalfi coast in our fiat 500 sun roof down wind in my air. I decided to go for a teal blue wrap dress something elegant light and fun. With a sparkly teared necklace and my round old fashioned sunglasses. It was the perfect attire for a day like this. 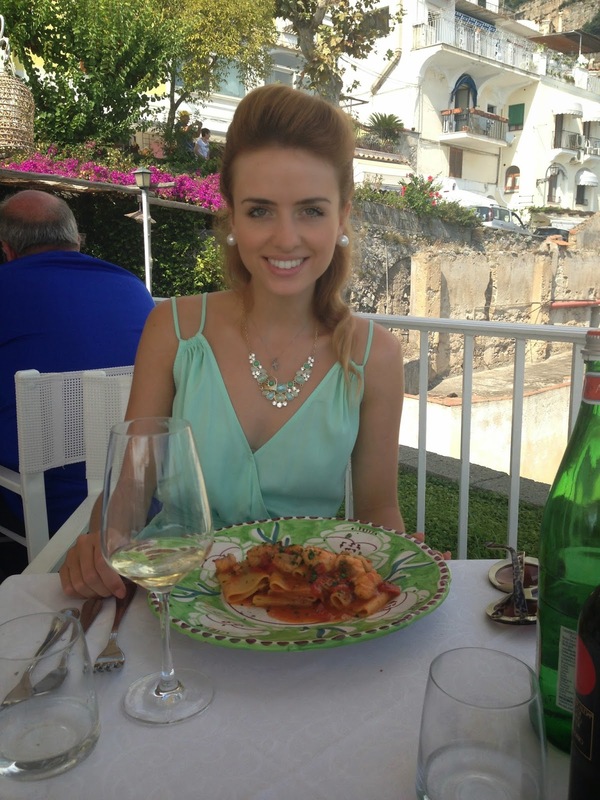 To enjoy a lovely lunch on a cliff looking down on Positano and the waterfront. Nothing could have been more perfect or romantic.